I followed the directions on the bag: preheat oven to 425 degrees. Combine water and yeast and allow to stand for several minutes. 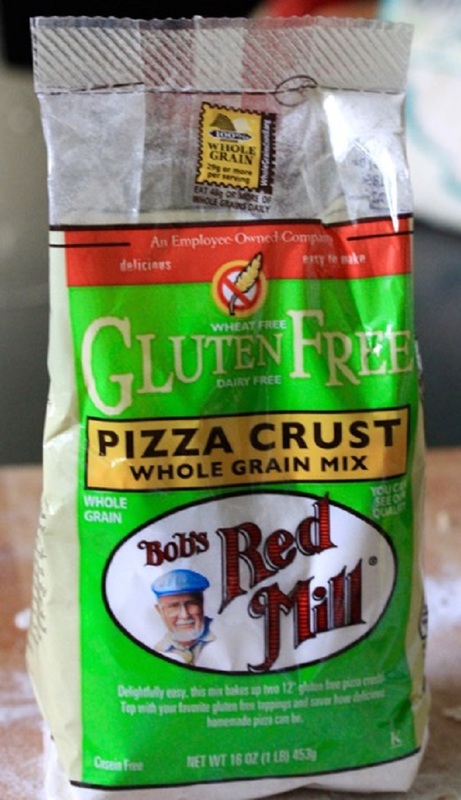 Add eggs and oil and blend, before adding gluten-free pizza crust mix. 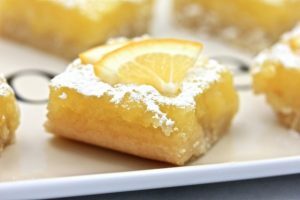 When combined, cover with plastic wrap and allow to rise for 20 minutes, or wrap in plastic wrap and allow to rise overnight in the refrigerator. If you use the overnight method, let dough rest for 30 minutes before spreading on to pizza pan. When ready to use, spread pizza dough onto pan, building up the dough a bit along the edge of the pan, and prick the inside of the dough with a fork, to prevent bubbles from forming in the dough as it bakes. 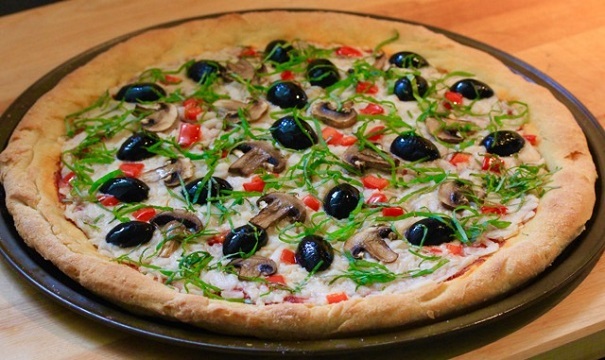 Bake without toppings for 9 minutes – crust will just be beginning to turn brown. 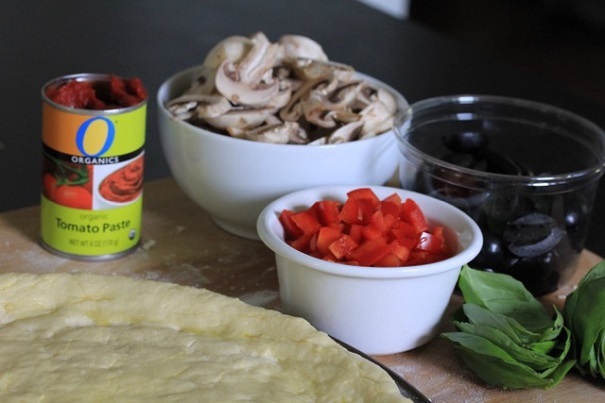 Remove from oven and cover with your favorite toppings. Use a basting brush to brush the tomato paste on to the crust, putting on as much as you like for your favorite pizza. 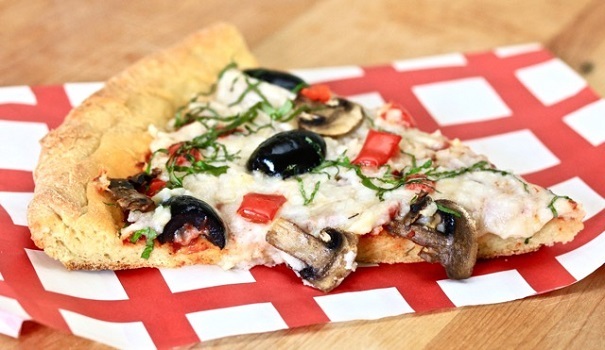 Sprinkle shredded cheese on the tomato paste and top with olives, mushrooms, red peppers and basil. Return to oven and bake for 18 minutes.